Student Activities & Event Management Software is an easy to use and stress-free tool for a school, college or institute. It helps to organize events at the larger scale (Sports day or Annual Function, etc.) as well as at small scale (dance competition, painting competition, etc.). For outstanding event schedule by the institution, you hire a person who looks up all the stuff like the theme, venue, and other resources you required and this can make inconvenience for say Event Manager for arranging things. 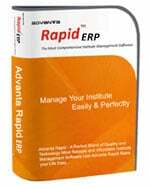 To overcome hassle, Advanta Rapid ERP has come up with a module named Event/ Activities Management, which is very flexible and it saves a lot of time and it is helpful for any school, college or institution. All the activities like school elections, competitions, performances can be handled easily and systematically. This module is an important component of our school management system, college management software and institute management software. Users using this module are appreciating the simplicity of ERP and it helps them to keep data like promote/ demote students, payment and other status details with zero training required by experts. Why there is a need for best software that helps to easily manage events or student activities for a school/institution/colleges? With the introduction of event management module, it becomes easier to schedule and program of school events or co-curricular activities. Following is the list of activities: quizzes, science, fairs, music, drama and sports. With introducing Event management module in Advanta Rapid ERP, it will ensure that entire school will be aware of day to day activities & events. It will also improve coordination among different departments. This module will limit your resources and involves less number of staff. 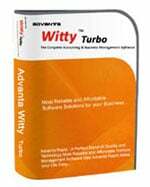 This is the best software that provides end-to-end event details like on which particular date which activity is schedule. Event management manages single platform for all the upcoming events. With this module, the school can send a message or email to parents informing them about the events and that results Event management works in a systematic way. The entire process becomes hassle-free, which further helps the management team. Need more information on Student Activities & Event Management Software? Contact us for a free demonstration of Student Activities & Event Management Software.